Industrial Metal veterans Society 1 have announced Maxwell Carlisle (HELLION) as the band’s new guitarist. 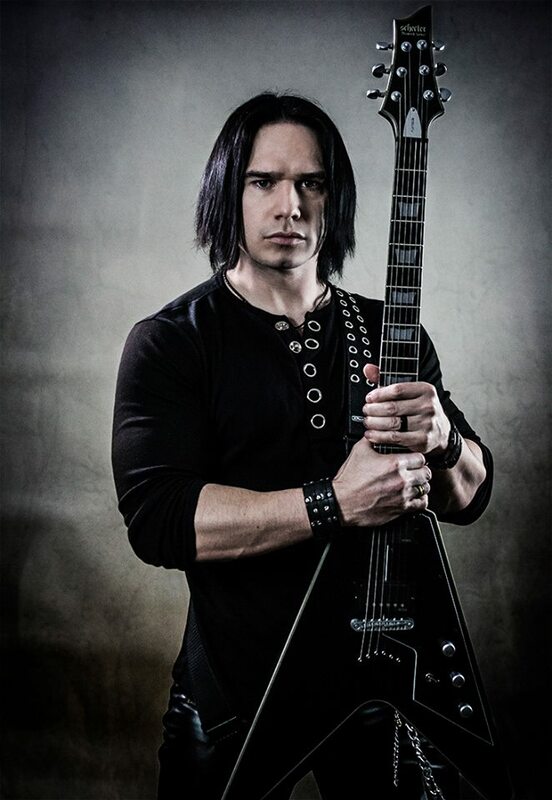 Carlisle most known for hisshredding guitar style and collaboration with world renowned cellist Tina Guo is expanding his musical expression into the realm of industrial rock. The new lineup will debut this Friday at Schecter’s Annual NAMM Indie Party. “I’m honored, really honored, to be joining a band with such a rich and storied history. Between the deep metal roots of Hellion and now the boundary pushing mentality of Society 1, I feel like I have access to a full array of methods to express myself as a musician. At this point I’m confident that I can stay committed to both bands and I look forward to challenging myself artistically and meeting new fans”, says Carlisle. Society 1 will be releasing a new album entitled “Rise From The Dead” early 2017. Carlisle and Society 1 frontman Lord Zane previously worked together on the production of several music videos including Carlisle’s solo release “Full Metal Thunder”.